Have you heard of Snapchat? You know, that app the kids are using to sext each other and bully the weaker people in their class. Well turns out, despite the media hype, it’s not actually that evil. Granted, it was invented as a tool to assist with the sending of nudie pictures, but like most rebellious types, it has grown up and got a bit more serious. Kind of like John Lydon, without the butter adverts. I’ve had a few people contact me asking for some help and advice on using Snapchat for marketing. So I thought I’d write a few down to save having to send the same email over and over again – today my middle name is efficiency. 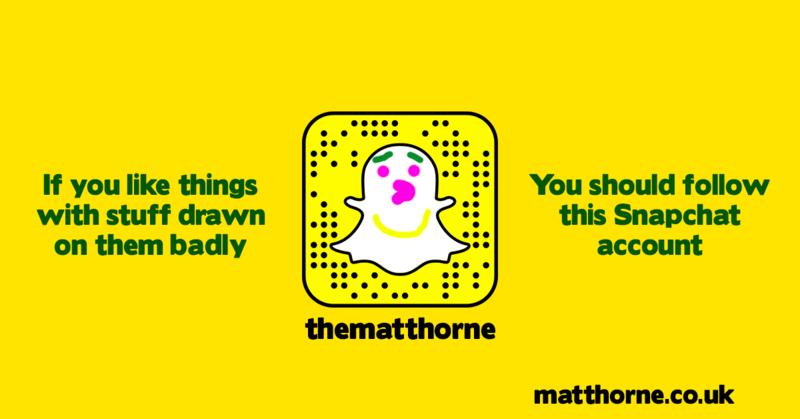 On with the show, here are my five tips for using Snapchat for social media marketing. The whole USP of Snapchat is its ephemeral nature and the immediacy of content. People use it to send quick snaps of what they’re doing right now. Sure they might have been planning to do that “thing” for months, and had a rough idea of what they’d be able to snap, but they didn’t pull together a detailed marketing plan that was signed off by all friends involved to get that perfect snap. It’s true, originally a single snap only lasted up to 10 seconds and then was gone. And this is still the case with snaps you send directly to friends. But now Snapchat has brought in Snapchat Stories, your snaps can stay available for up to 24 hours for anyone to see. And this is a good thing. You can now weave together different snaps to help tell a story (the clue was in the name right) around what ever it is you do, and people can keep going back to see it as many times as they like in the following 24 hours. They can even screengrab something they might have missed the first time round and share it with their own friends on Snapchat and other networks. Use this feature wisely and you’ll reap the rewards. Just remember not to make your story too long. Attention spans are limited on Snapchat and if people tire of their friends stories going over 60 seconds, imagine how they’ll react to a brand getting snap happy. Snapchat isn’t the most user friendly app for adding people you don’t already have in your phone’s contact book. That’s bad news for brands. If you open up an account, don’t expect a flood of friends to start following you unless you do some promotion on other networks. Get yourself your Snapcode image and use that along with your username to help promote your account. As with any channel promotion, make sure you give people a reason to follow you too. It also doesn’t hurt to share some of your best snaps on other networks to help show off why people should follow your account too. This is a little sneaky but can help get out a marketing message between all the fun stuff you might be snapping to show your brand gets the lolz the kids love. If you have something important you’d like to get out – say a key marketing message from the bosses – put that at the start of your story then get on with the fun stuff. That way, if you’re using some of the more interesting content to promote your Snapchat on other channels, when the new fans coming rolling in, they’ll see this “pre-roll” message before getting to the good stuff. It’s not all about Snapchat Stories, once you get up and running on the network you’ll find your followers start sending you their own snaps. These might be something you’ve requested or they might be completely unsolicited. Either way, just like with other social networks, they deserve a reply. Engagement is key, and the nature of Snapchat is intimacy. If you get a snap asking a question or showing off someone’s love for your brand – you should reply in kind. Send a snap back approving of the message or answering the question in a fun way. You never know, that person might then screengrab your witty response and share it with all their friends on Twitter getting you extra social media kudos. 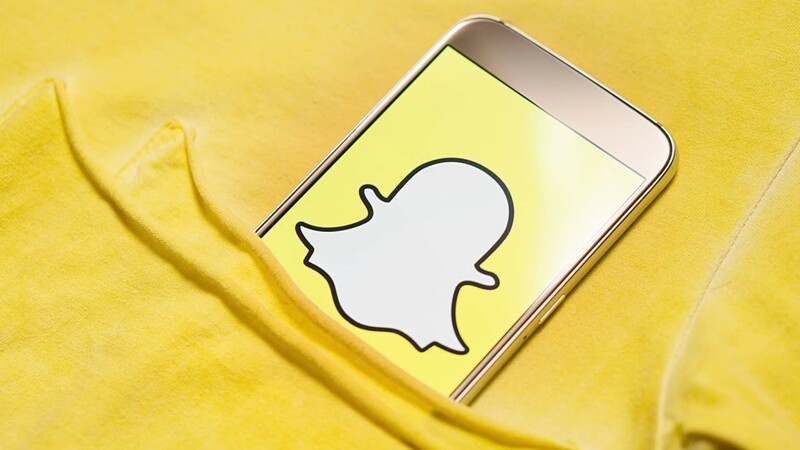 And there you have it, five tips for using Snapchat for marketing. It’s not the gospel, it’s not the law, it’s just a few tips to help you get more out of this growing network. Give them a go, see where it gets you. And don’t forget to let me know if you agree, disagree or have your own thoughts in the comments below. Can’t tell your snaps from your tweets or are still poking people on Facebook? Then get in touch and see how I can help make your internet awesome. I may be a social media consultant based in Newcastle, but I share my wisdom with people across the world because the internet.